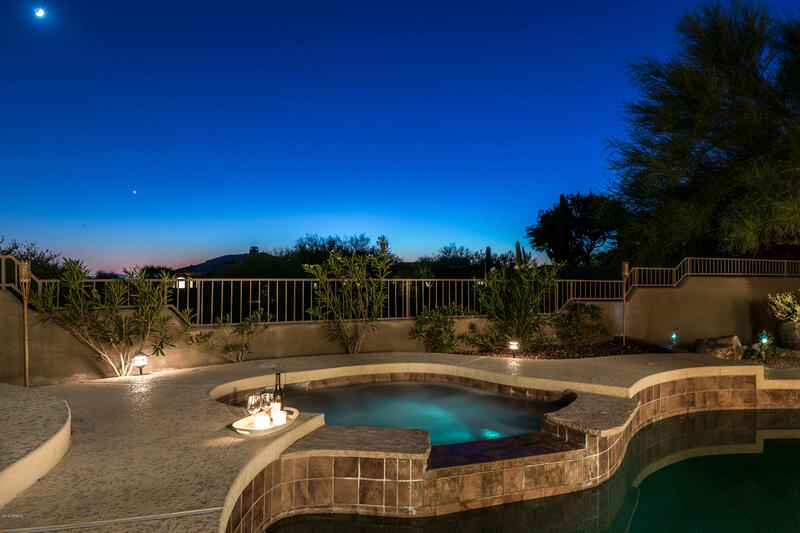 All Quail Ridge at Troon homes currently listed for sale in Scottsdale as of 04/23/2019 are shown below. You can change the search criteria at any time by pressing the 'Change Search' button below. 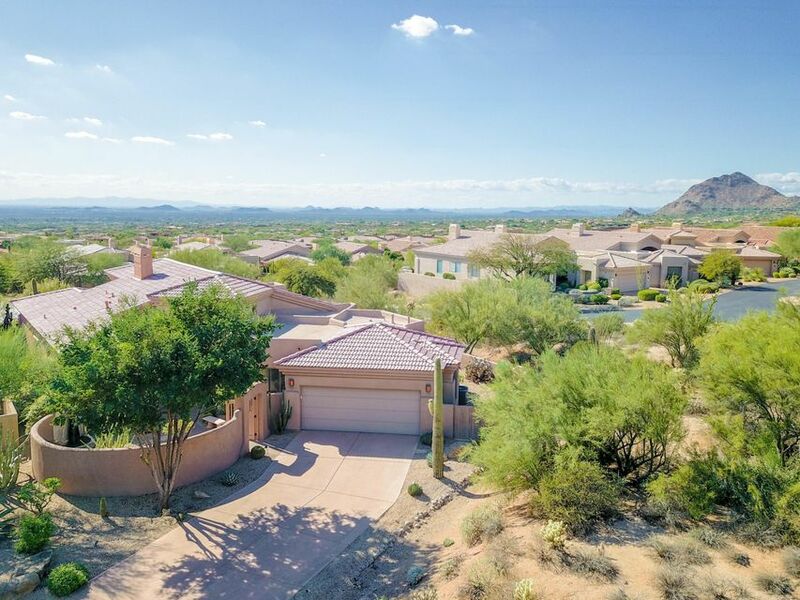 "Beautifully appointed home in the gated enclave of Quail Ridge at Troon offers dramatic mountain & city light views & a layout that celebrates the Arizona lifestyle. Located on one of the best parcels in the community, this meticulously maintained turnkey home is ready for entertaining, with upscale finishes & a light desert palette. Formal living & dining, stacked stone fireplace wall & curved wet bar opens to large family room. The nicely appointed chef's kitchen offers lux granite & stainless"
"The very best in luxury living in Quail Ridge at Troon. Renovated single level floor plan featuring the contemporary interior upgrades you are looking for! French Oak wide plank wood flooring, Vanilla Quartz countertops, new stainless steel appliances, new plumbing fixtures and hardware, and fresh interior paint. Floor plan offers courtyard entry, 2 bedrooms, 2 baths, and large den which could used as 3rd bedroom, and direct access 2 car garage. South-facing pool and patio area offers an extensi"